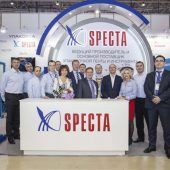 VolgoStrap, the production unit of SPECTA Group, has reached a new level of quality of its integrated management system. 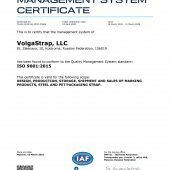 Its conformity to the new versions of ISO 9001 and ISO 14001 standards has been confirmed by this year’s certification. 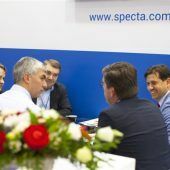 Welcome to Specta booth at Tube&Wire exhibition in Düsseldorf! The most important event in the metal processing industry will take place in Düsseldorf, Germany on April 16-20, 2018. The trade fair will demonstrate the latest developments in pipe, wire and cable production. The most important event in the metal processing industry will take place in Düsseldorf, Germany on April 16-20, 2018. The trade fair will demonstrate the latest developments in pipe, wire and cable production. 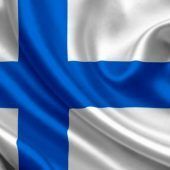 The World congratulates Finland as it turns 100 years! Specta story started from Finland! 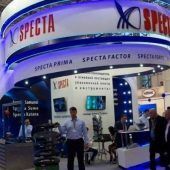 A wide range of steel straps of our own production, among them SPECTA FORTE, SPECTA FORTE MODEX, and SPECTA FACTOR were exhibited at the booth and exhibition visitors could get more details about the technical specifications of these straps and their application. We also offered a demonstration showing these packing straps in use with strapping tools. On 15th November, in the Kazan Kremlin, a meeting was held between the President of Tatarstan, Mr Rustam Minnikhanov, and Ambassador Extraordinary and Plenipotentiary of Finland to Russia, Mr Mikko Hautala. Among the Finnish delegation were 26 business leaders, as well as officials. 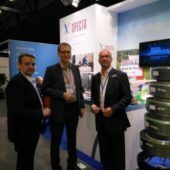 The delegation included the Vice-President of Specta AG, Mr Teppo Viherkoski. Metal-Expo’2017, the 23d International Industrial Exhibition will open on November 14 to exhibit the whole range of steel products, the most state-of-the-art equipment and solutions. Over 520 steel and steel-related companies from 32 countries are planning to take part in the event. The extensive program comprises conferences, seminars, roundtables, meetings and different contests. 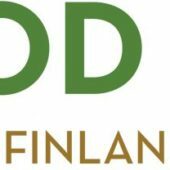 The woodworking exhibition “PUU 2017” has just finished its work in Jyväskylä, Finland. This year about 140 companies from different European countries presented their achievements, innovative machines, equipment and technologies. How to combine elasticity and strength in a packing strap? Specta production engineers answered this question when they developed and launched a new polyester strap Specta Virtus in 2017. The company has also significantly expanded the range of the latest development of 2016 – Specta Auris strap – up to 15 standard sizes. The new PET straps have successfully passed industrial tests at Russian and European enterprises and are available for ordering. Dear visitor, please fill in the form fields, so that we could contact you and give more information.